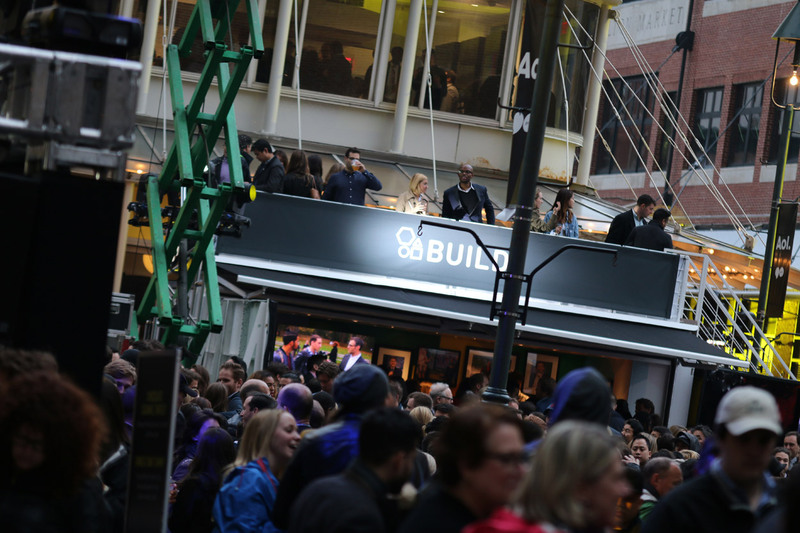 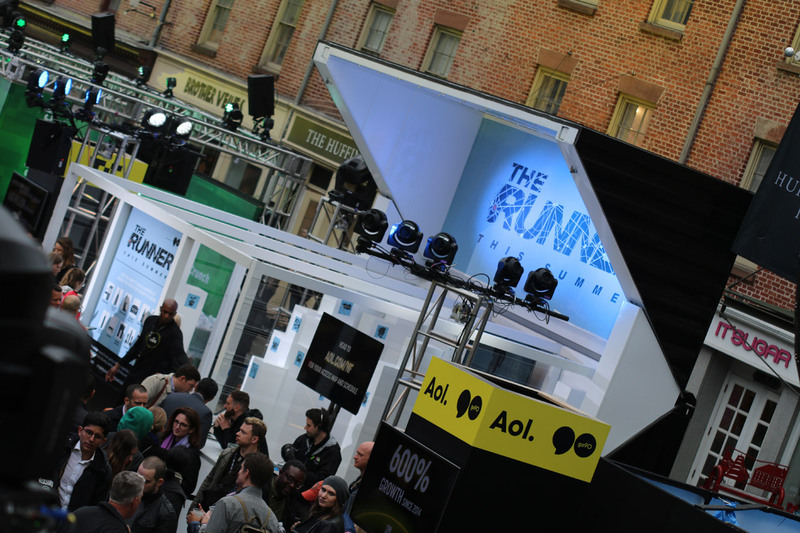 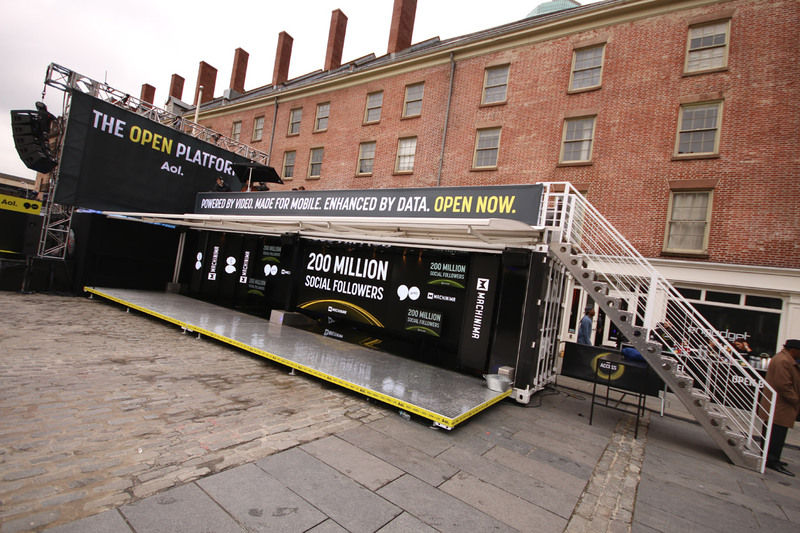 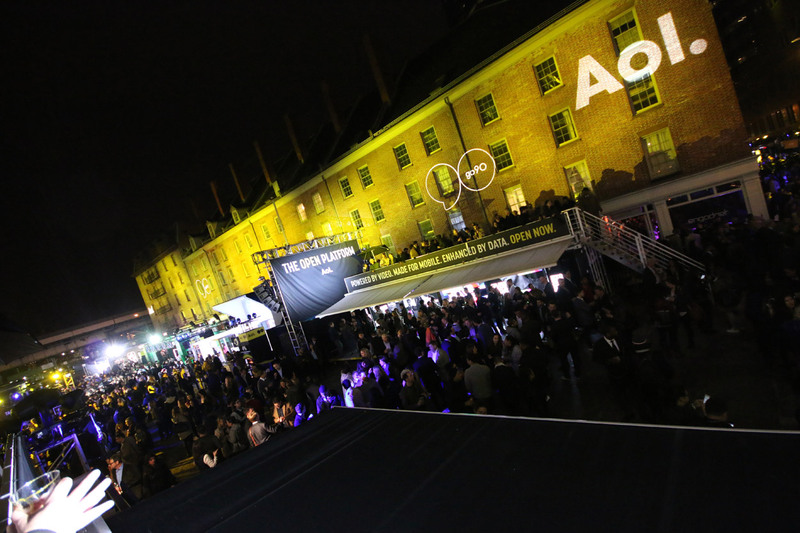 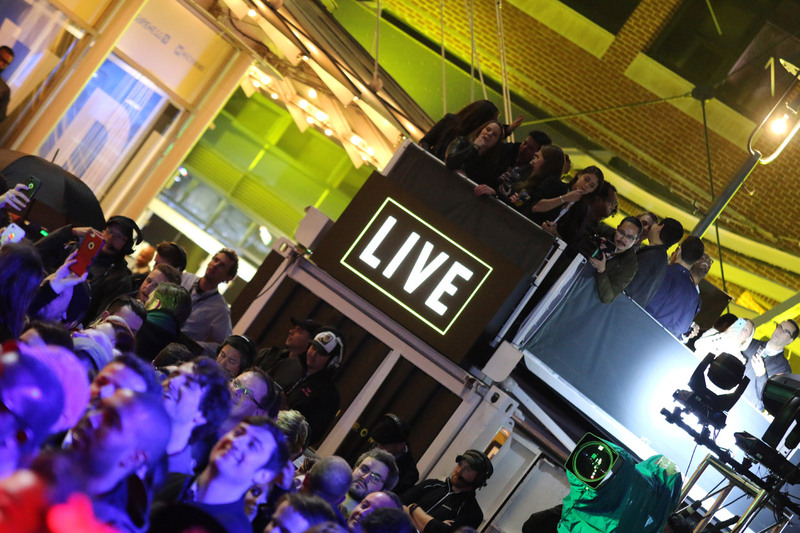 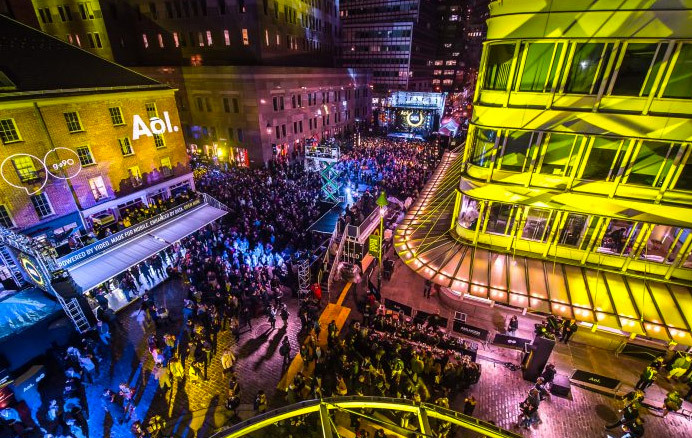 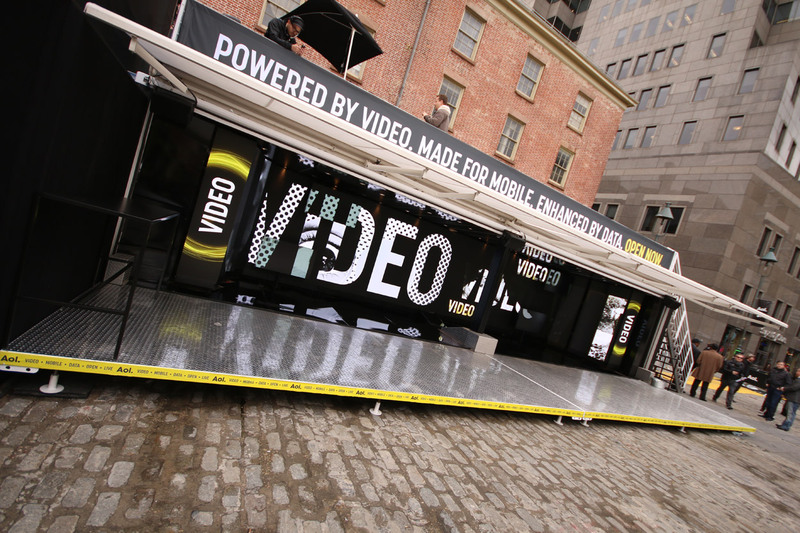 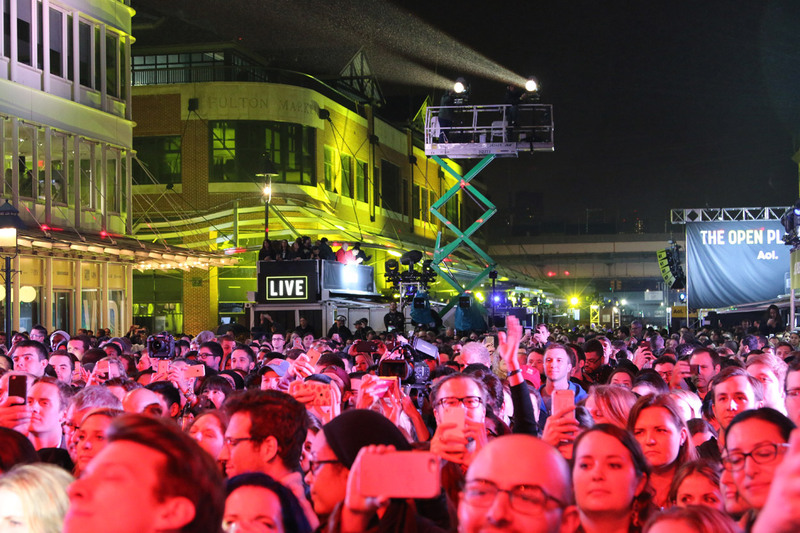 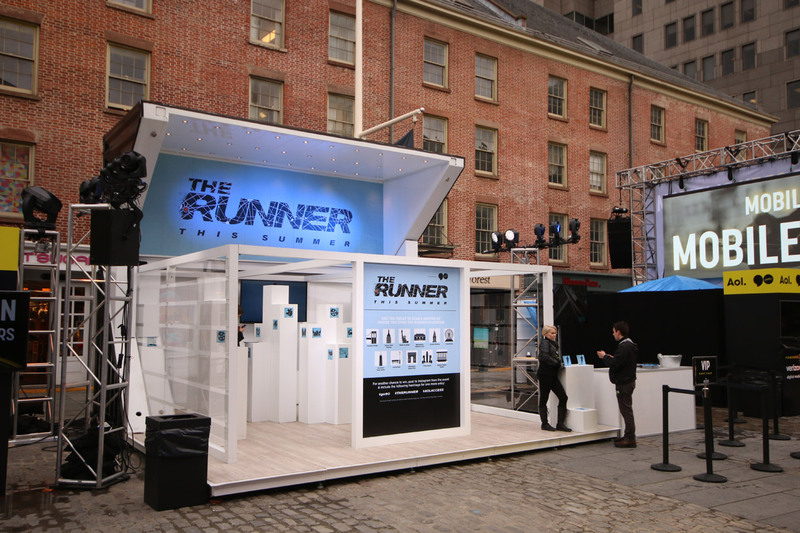 Practically commandeering New York City’s South Street Seaport, AOL’s activation leveraged an entirely new approach in which B2B targets enjoyed curated experiences and a deeper kind of engagement with the individual brands that interested them most. 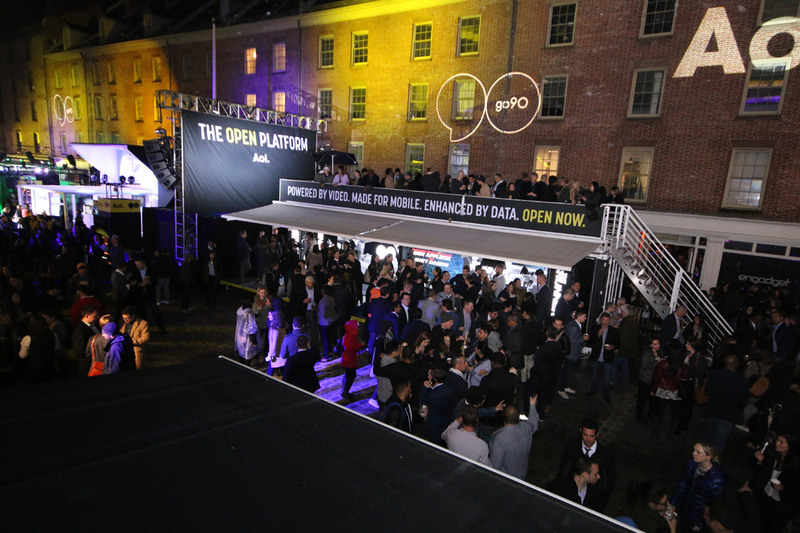 Billed as NewFront Access and conceived and produced by international event marketers FIRSTAGENCY, AOL’s open-platform model gave 3,000+ influential bloggers, celebrities and agencies access to their brands in a way they’ve never experienced before. 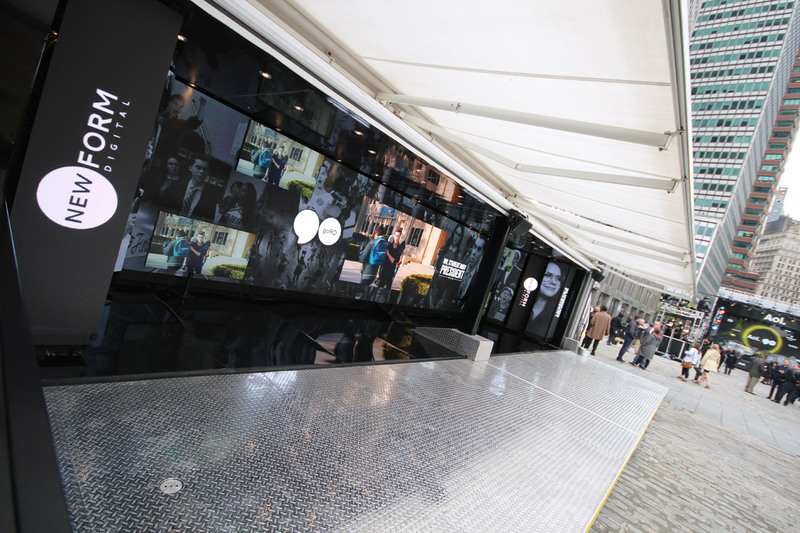 We need to evolve the way we communicate with each other from a business-to-business standpoint the way consumers have evolved the way they communicate. 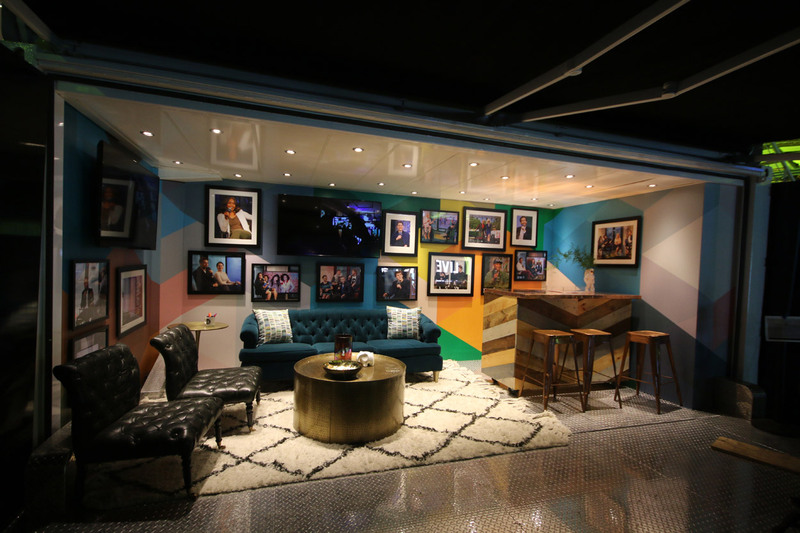 Loki provided a BB40 unit fully converted to a TV studio for interviews. 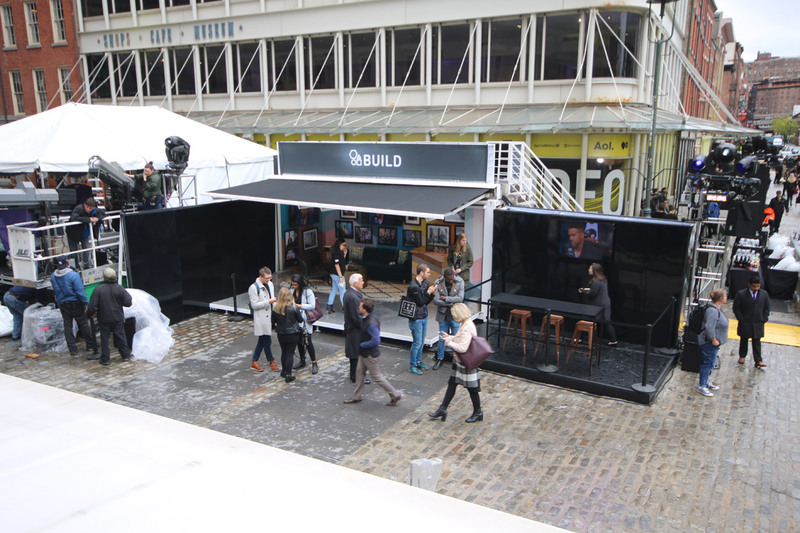 A BB20 unit was repurposed as a video presentation platform with rooftop VIP section. 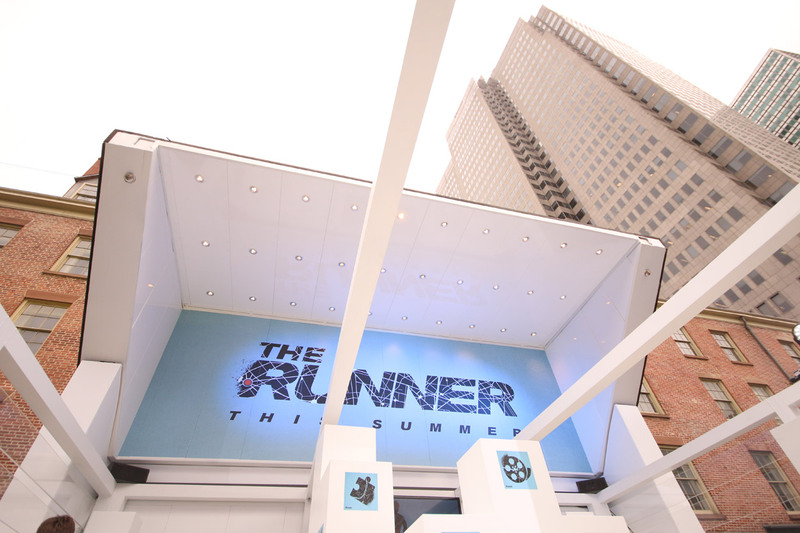 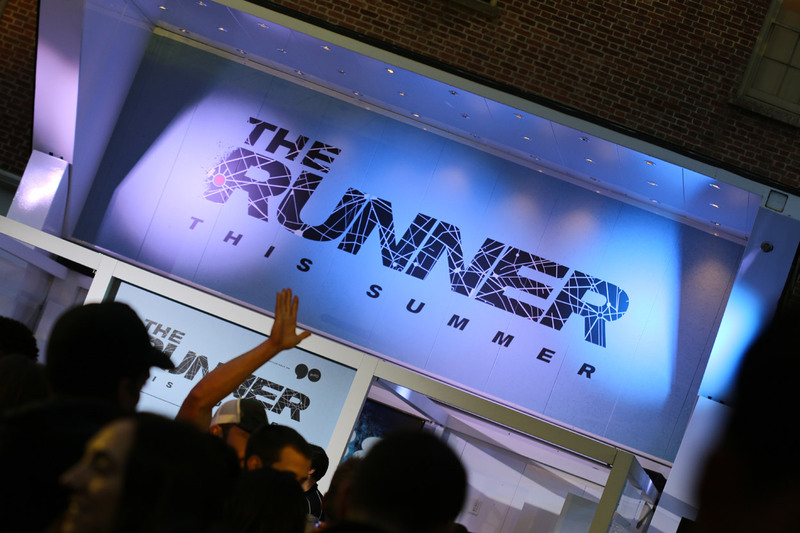 Finally, a BLACK SPLIT 20 became home to an video game experience developed for the July 1 launch of AOL’s interactive live-action show “THE RUNNER”. 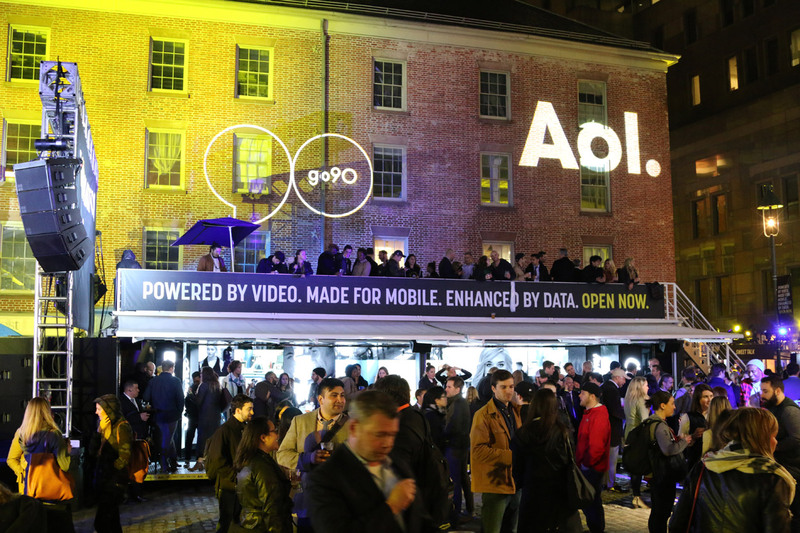 Video «AOL Access NewFront» from FIRST Global Events Agency.